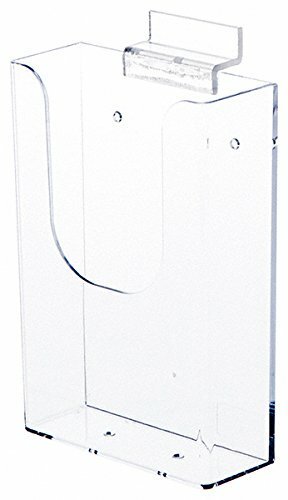 Pack of 10 Holders For 8 1/2"w x 11"h brochures Inside Pocket Dimensions: 8-5/8"w x 1-3/4"d Overall Dimensions: 8-3/4"w x 9-1/2"h x 2-1/2"d Pocket Capacity: Approx. 75 Brochures Double-Sided Tape Included Mounting Holes: Yes No Assembly Required Material: Clear Ridged Styrene (Acrylic) Material Thickness: .100"
Plymor Brand Clear Acrylic Slatwall Mount Tri-Fold Brochure Literature Holder, 4.5" W x 1.875" D x 7.25" H. Injection molded brochure holder is perfect for brochures that are made from 8.5" x 11" paper and folded into thirds. This model is made to be hung on slatwall. Plymor™ Brand is sold exclusively by Collecting Warehouse. When you purchase a Plymor™ Brand product, your satisfaction is guaranteed. Carefully packaged for shipment and fully insured. Images and content displayed here Copyright ™ 2015 Collecting Warehouse, LLC - All Rights Reserved. The Plymor™ name is a trademark of Collecting Warehouse, LLC. 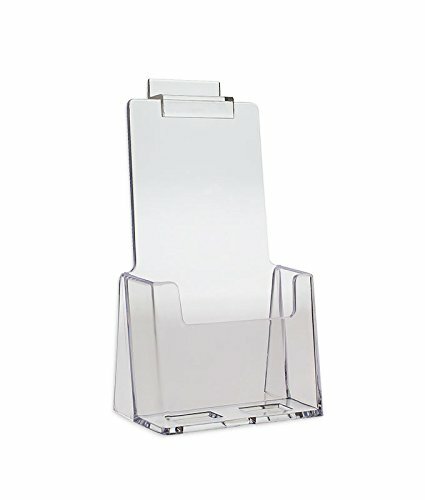 This Acrylic Brochure Holder has three pockets that allow you to promote your product or cause. 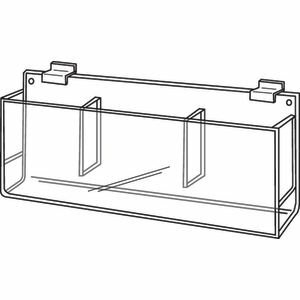 The rack has 1/8" dividing inserts with 1/16" sides. 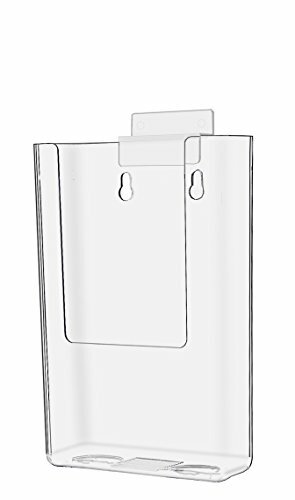 This Acrylic Brochure Holder is translucent to show off your publications. The fixture has a flat foundation so that it can be used either by itself or as an accessory for a slatwall. 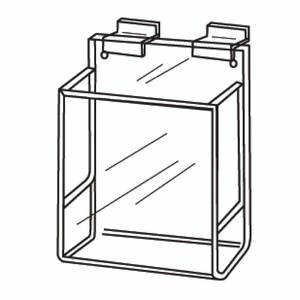 This Acrylic Brochure Holder made of a sturdy, durable material for longevity. 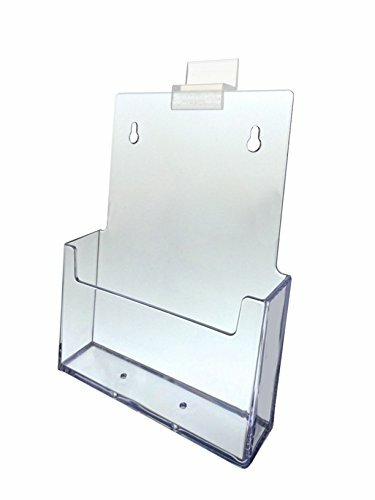 Acrylic Brochure Holder for Slatwall, 8.5"x11"
These Acrylic Brochure Holders have dual slat inserts to allow easy attaching to the slatwall. 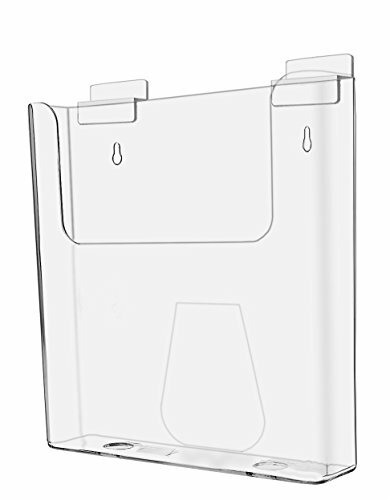 The bins are made of a translucent material for a shiny polished finish. 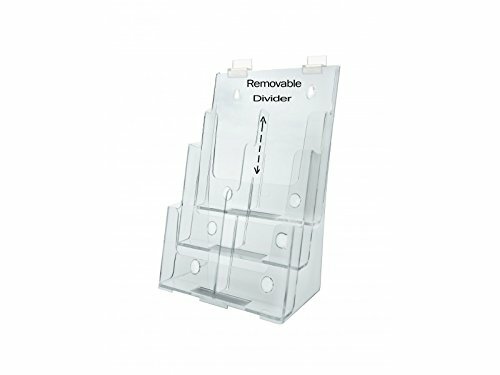 These Acrylic Brochure Holders have 3/16" thick sides. The receptacles are a strong, stout, resilient material that is made to last. 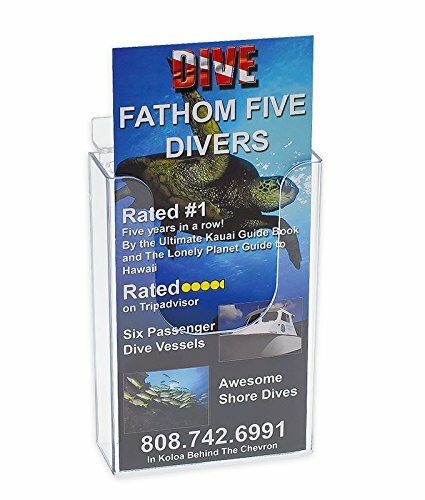 These Acrylic Brochure Holders are great as a stand-alone display or for use with a slatwall fixture.